Good News! We are pleased to say that Murchison Place Park is getting another big improvement. Right after the cleanup this weekend, the park was closed to the public. There will be ongoing construction work throughout the site for the rest of the fall. A brand new boardwalk is being constructed. It is important to note that during the entire work period, it will not be safe for visitors to be in the Park. Once this work is completed, the Park will be an even better and safer place for next seasons. Clyde River Strawberry Social, Wednesday, July 11, 6:30-8:30 p.m.
Clyde River Women’s Institute welcomes you to attend their annual Strawberry Social on Wednesday, July 11th, 6:30 to 8:30 p.m. at the Riverview Community Centre. 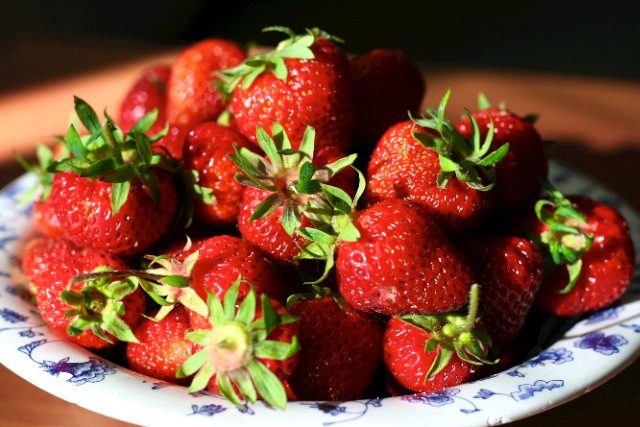 You can enjoy the flavour of strawberries and ice cream along with some home-baked treats. Enjoy the succulent sweet taste of the season and a stunning view of the river. You can un-wind and re-connect with friends, relatives and neighbours. There’s bound to be a few folks home from away. Admission at the door. Spring clean up of Murchison Place Park will take place on Saturday, May 12th, 9:00 a.m. until noon. Take along a rake, work gloves and any other useful garden equipment e.g. wheelbarrow. Refreshments will be served. The rain date will be the following Saturday, May 19th. Clyde River history committee member Joanne Turner recommended to us that we view this series that she had enjoyed, Tales from the Green Valley, on YouTube. I had a chance to view it over the past week and thoroughly enjoyed it. Did you ever want to know what it would be like to live in 1620? Here’s your chance. Five history scholars agreed to live for one year on a farm in a valley near the Wales border. Did they work hard? Yes, it mentions that they burned over 4000 calories a day – equivalent to a high-performing athlete of today. Nothing, and I mean nothing, was wasted. A thatched roof takes a lot of material, patience and skill. 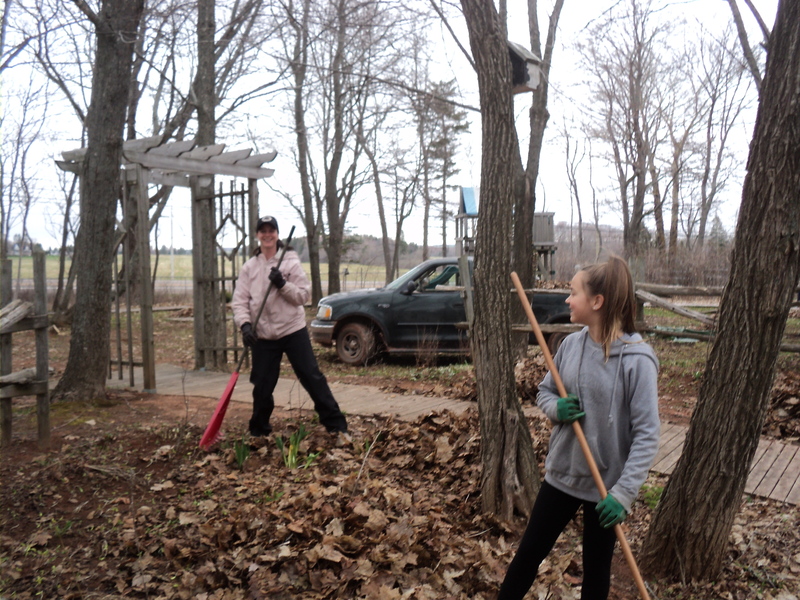 Some of their chores would still be similar to those in the 1800s when our ancestors moved to Prince Edward Island e.g. clearing the land, churning butter and making soap. Click on the screen below to link to the YouTube series and enjoy. Please feel free to share your comments and insights below after viewing the series. “We don’t really have much of a winter before January.” Newcomers from other provinces and countries say we told them this when they moved here. As they confront us this week, we look a little sheepish and our lips are pursed ever so slightly. We only really discuss it truthfully among ourselves. In fact, we don’t even have to discuss it. It’s communal knowledge that can be conveyed with a glance. It’s almost part of our DNA. Those new to PEI can find our weather confusing and will not fully understand the ocean effect. Islanders have a more innate sense of predicting weather and will adjust our behaviour as easily as the local wildlife, squirreling away food and water and hunkering down, hoping the power doesn’t go out with yet another gust of wind. Rural folks with farms are operating in full gear protecting their herds and flocks. The survivalist instinct kicks in, no explanation necessary. 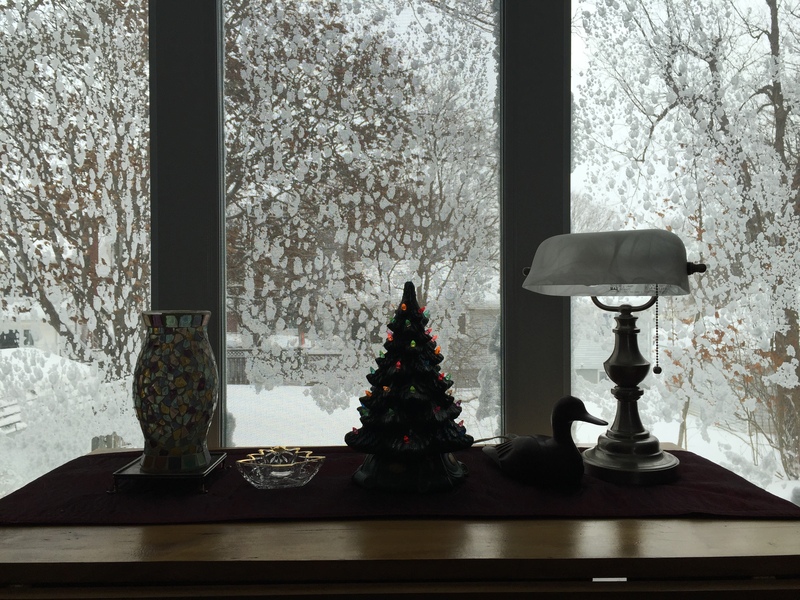 However, we will say to those from away, “Yes, it’s bad, but this is an unusual year, maybe the worst since the 1970s.” It’s our way of putting them off, knowing we don’t have to come up with another excuse until next winter. And with any luck, there will be a bad winter in Texas. Heck, maybe we aren’t that different from other Canadians or even those from the New England States and northern Midwest. And who knows, it could still be raining on Christmas Day. Our ancestors would look at us strangely if we said there was a drone flying over Clyde River taking photos, but that is what is happening. Oswald tells me that Scott Stevens has been contracted by the Golf Association of PEI to take photos via drone of the 16-member golf courses in PEI. The benefit we get is to see Clyde River and neighbouring communities from a birds eye view in all their spectacular beauty. The golf course looks great, Oswald and team.